How have 15 years gone by? Somehow 15 years ago is now retro. We’re not sure how that happened, but Motor Week has just released yet another of its archived reviews, the 2002 Subaru WRX. 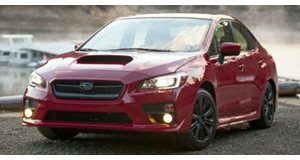 This writer, for the record, was a poor, not always sober college student at the time who was very much excited for the WRX’s US market arrival. 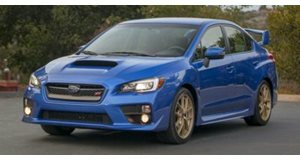 Today, the WRX and WRX STI are standard parts of the Subaru model lineup, but that wasn’t always the case. The Subaru WRX launched back in 1992 in Japan, and despite some American enthusiasts begging the automaker to bring it stateside, this ultimately didn’t happen for almost another decade. Better late than never. Anyway, this first US market WRX was the "bug eye" WRX and it came powered by a turbocharged 2.0-liter boxer four with 227 hp and 217 lb-ft of torque. Buyers could choose either a five-speed manual or four-speed automatic. A four-speed slushbox? In a WRX? Who buys that? Motor Week correctly noted that the WRX’s secret sauce is not in straight line performance (although it was a faster in the quarter-mile than the old Audi S4), but in the curves. Although the bug eye front end styling didn’t last for long, the WRX itself lives on, and we couldn’t imagine Subaru today without its AWD rally-inspired sedan. Now, if you’ll excuse us, we’ll go sit in a corner and try to figure out where time has gone. College was awesome.